If you have followed me at all, you know that I speak from the heart. Just over a year ago I wrote my last piece for this blog. I started this blog to be about my journey and your journey. I am sad to say that I lost my way for a while. When I struggled with my weight journey I started to find other things to blog about to fill the void. I have tried to even restart other blogs but still void not felt. My personal life is also falling to pieces. But even before that I started to feel the need to return to get back on my personal journey of health. I feel I let everyone down. But I do realize that failure is all part of the journey. I hate excuses, so what I am about to tell you, is not my just my account of my last year. Last year in August during the last week of the Biggest Loser competition, I started to feel heel pain. Which meant I couldn’t work out, which started a tail spin in my diet. I didn’t go to a doctor because I thought they would look at me and my weight and blame it on my weight, plus I thought they would just tell me to stay off my foot. I live paycheck to paycheck, so missing work wasn’t an option and I stand on my feet all day. I thought it would eventually go away. But it didn’t it got worst and worst. It took me a year to realize that I really needed to seek a doctor. Which I finally did the beginning of September. I found out that I had a giant heel spur, bursitis, plantar fasciitis. I have just had my third visit to two different doctors. I got my second cortisone shot today. I am not at the point where I can begin to exercise again, but I believe I am getting closer. And the desire is growing. When I started this journey, I didn’t know what to expect. I didn’t expect to write over 100 post, have over 100 subscribers, and close to 500 followers. I didn’t expect to be seen all over the world. I didn’t expect to meet the friends that I have made through this. I just wanted to say thank you. Each one of us are embarked on the multiple journey’s of life. I have many journey’s. The journey of husband, father, follower of Christ, friend, the journey of losing weight, blogger, and the journey of finding my purpose. That is just to name a few. I recently have been focusing on purpose, as my church has been starting a series, “what on earth am I here for?” (an updated purpose driven life). As I read the prologue to Happy, Happy, Happy from the father of the duck dynasty family, he talked about simplifying one’s life. That along with what I am learning in ‘what on earth am I here for?”, I have come to a conclusion. I have too many journeys that I am on right now. I need to simplify and focus. I need to worry about the journey’s the most affect the eternal, rather than the here and now. So with that said, my journey as blogger is coming to an end. Hopefully not forever, but at least for the time being. I have truly enjoyed my time here, more than I ever thought I would. And I have really enjoyed being part of this family and the friendship I have made. I so value you, that I could not stop without saying goodbye. I really hope that one day, I will revisit this journey, and be able to give it my all. Thank you so, so much. this makes no sense to me “Raise the debt ceiling–not to spend more–but to pay off debts already on the books” If it is already on the books, then why would you need to raise the debt. My debt doesnt go off when I pay it off it goes down, so this makes no sense to me. The maximum amount of monies the United States can borrow. The debt ceiling was created under the Second Liberty Bond Act of 1917, putting a “ceiling” on the amount of bonds the United States can issue. As of the end of July, 2011 the debt ceiling was set at $14.3 trillion. Before the debt ceiling was created, the President had free reign on the country’s finances. In 1917, the debt ceiling was created during World War I to hold the President fiscally responsible. Over time, the debt ceiling has been raised whenever the United States comes close to hitting the limit. By hitting the limit and missing an interest payment to bondholders, the United States would be in default, lowering its credit rating and increasing the cost of its debt. There has been controversy over whether the debt ceiling is constitutional. According to the 14th Amendment of the Constitution, “The validity of the public debt of the United States, authorized by law … shall not be questioned.” The majority of democratic countries do not have a debt ceiling, with the United States being one of the exceptions. Now that you got some background to what the debt ceiling is, how does this impact our current situation. In a previous post, I blamed both sides and the President for this situation. Even after doing this research, I believe even more that everyone is to blame. First let us deal with the issue – is it constitutional? I don’t know. If it was up to me, It would not exist. I understand that it was designed to keep spending in check, but it is a really bad attempt at doing it. You can also see that it was designed by law makers who don’t want to be held responsible for out of control spending. The way this is designed is that spend out of control now and make someone else responsible later. Because it is not the debt that will eventually kill the debt ceiling it will be the interest racked up by the debt. So even though it was designed to keep spending in line – all it does it keep us from paying our debts and every time it gets raised, more out of control spending happens. It is a complete failure. And it makes America look weak. America should never have the perception that we can not pay our debts. But something has to be done. America is in trouble and while I disagree with the Republicans that this is the time to fight this battle. A battle must be fought. But Congress and the Senate and the President are not the ones to solve it. Why, because that would be like asking a drug addict to come up with a solution to get clean. That is how we came up with the debt ceiling in the first place. So what is the solution. My solution is that we must balance the budget and restrict the debt to 20% over budget. We will give 20 years exception starting next year. By year 2019 the debt limit will be reduced to 15 trillion dollars, with every year after that it will be reduced by 1 trillion dollars, until we reach that 20% over budget number. Every fiscal budget will have to have long-term plans that meet those goals, and any new spending would have to be paid in full. For every dollar over budget, each senate member, congressional member and the president would be fined $.10. For everyday after the budget deadline that there is no budget – every senate member, congressional member and President would be fined a week’s salary. Also taxes can not be raised more than 10% total in any given year, so that it is not financed on the backs of Americans. Why am I being so harsh? Because as a football fan, I always want my team to go out and spend all this money and get mad at them when they don’t. Point is that when it is not your money that you are managing, it is easier to spend without consequences. But when your money is at stake, you become more wise. So they will have to be creative and work with each other. That means that cuts will have to be part of the solution (which will upset Democrats) and tax loopholes will vanish (which will upset Republicans). It also means we might have to re-evaluate current programs like social security and medicare and even Obama care. Before you get all upset, I did not say get rid of these programs, but you will have to go over them with a fine comb and try to make them as efficient as possible, and as cost efficient as well. If we don’t deal with this issue now and deal with a lot of pain that will come now, there will be a point where it wont matter that we can extend the debt ceiling because we will just be broke. There will be a point and I fear it is coming closer each day that we can’t print or borrow our way out of it. Yes the debt ceiling is about paying our debts, but the interest is killing us and is only going to get worst, we need to start paying some of the debt that we can back early to get rid of the interest. Some debt is healthy, this is not. We can’t be like we have been, pushed debt and its interest on the next generation. That being said it is congress, senates and the President failure. Shutting America down is a cowards way of doing something and accomplishes nothing. If the President was a true leader, this is something he would be talking about, not pointing fingers. There is a new Other People’s Journey. Please check it out! Yans – Conquering the World. I just wanted to say thank you and that I am truly humbled. When I started this blog, I would never have envisioned everything that would happen. I truly thought it would be a complete failure. Today I passed 100 followers. Yes it says almost 500 on the side of the page. The number on the side includes Facebook and Twitter followers. The 100 that I speak of, strictly has to do with people getting direct communicate directly from this blog. Between this and the fact that I am getting closer to 5000 hits, just makes me feel not worthy of it all. So I thank you from the bottom of my heart. You made me feel very special and have made me feel part of the family. A) what does purpose mean? B) does purpose exist or is religious gibber jabber made to make you feel guilty? c) how does one discover ones purpose? d) can you ever achieve your purpose and if so what happens then? e) what is your purpose? f) is purpose individual or universal? g) is purpose and the meaning of life the same, intertwined, or not even related? h) how does purpose effect the journey you are on? 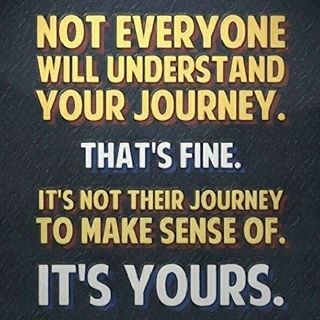 I) and how does your journey affect your purpose or others purpose, if any? I hope you will answer as many questions as you will like and I hope it will generate some discussion. That is one of the reasons for this blog, so that you have a place where you can feel welcomed and share without being judged. I am always looking for people to share their journeys here on this blog. It can be health related, but doesn’t have to be. If interested please click on the contact me page, and send me a note and we will make it happen.